Dominick DellaSala2005Dominick DellaSala is President and Chief Scientist at the Geos Institute. 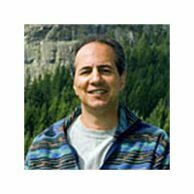 He is an internationally renowned author of over 150 technical papers, co-author of four books on biodiversity and sustainable forest management, subject editor for the Natural Areas Journal, guest editor for Conservation Biology, and is on the board of directors for the Society for Conservation Biology, North American section. Dr. DellaSala received WWF's President's Award in 2000 and 2004 for his outstanding achievements in the U.S., including his leadership in securing protections for over 300,000 acres of brown bear habitat and coastal rainforests within the Kodiak archipelago, Alaska, scientific support for the designation of the nearly 53,000 acre Cascade-Siskiyou National Monument in southwest Oregon, and scientific support for federal roadless area policies and the Northwest Forest Plan. Dr. DellaSala is motivated by his love of nature, a passion for bringing science to policy makers, and a concern for passing on a living planet to his daughter and her grandchildren. All bios are from the year the award was presented. Bob Ekey2004Bob joined The Wilderness Society in 1998 as regional director of the Northern Rockies office, in Bozeman. He is an established leader on conservation efforts in the Northern Rockies, and often focuses efforts on building coalitions to achieve conservation goals. His work also focuses on building broader public support for protection of wild lands, including our national parks, Forest Service roadless lands, and wildlife refuges. Bob is former chair of the Yellowstone to Yukon Conservation Initiative. Previously, he served as communications director for the Greater Yellowstone Coalition for six years, where he was a leader in the campaign to stop the proposed New World gold mine adjacent to Yellowstone Park. 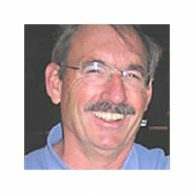 A former award-winning journalist working in Montana, Bob gained national recognition for his coverage of the 1988 Yellowstone fires. He wrote the book "Yellowstone on Fire!," and later a children's book on the fires. He is a graduate of the Ohio University School of Journalism. All bios are from the year the award was presented. Brock Evans2008Brock Evans is President of the Endangered Species Coalition, which he has led since 1997. Prior to assuming leadership of the ESC, Evans served as Vice President for National Issues for the National Audubon Society for 15 years. He earlier served for eight years as Director of the Sierra Club’s Washington DC Office and for six more years as the Club’s Northwest Representative. His major focus in these positions was on forest, wilderness, and energy policies, especially as they affected public lands. 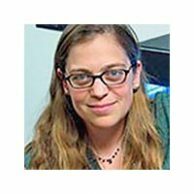 Evans has also done scholarly work at the Environmental Law Institute in Washington, as a Fellow at Harvard’s Institute of Politics, and teaching in Israel as a Visiting Professor at the Arava Institute for Environmental Studies. He is married to Linda Garcia, a Professor and Director of a Masters Program at Georgetown University (Communications, Culture, and Technology) and is the father of two sons, Joshua and Noah, and stepson, Stephen Garcia. All bios are from the year the award was presented. Brent Fenty leads the Oregon Natural Desert Association in its efforts to protect and restore the vast, wild, open country of Oregon’s high desert and sagebrush sea. A native of eastern Oregon, Brent has a remarkable ability to work effectively with a broad diversity of people while staying true to the organization’s core tenets. During his time with ONDA, Brent has worked on projects varying from a citizen’s wilderness inventory of millions of acres of unprotected wild lands, the implementation of Steens Mountain Wilderness, and successful efforts to designate the Badlands and Spring Basin as federally-protected Wilderness areas. In addition to his work with ONDA, he has also worked on marine and forest conservation efforts at the United Nations Environment Programme and The Ocean Conservancy. Brent spends his free time with his wife and daughter rafting, hiking, skiing and exploring Oregon’s wildest places. All bios are from the year the award was presented. 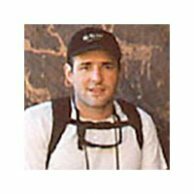 Roger Flynn2004Roger is the founding Director and Managing Attorney of the Western Mining Action Project (WMAP), representing public interests on mining issues in the West since 1993. WMAP is the only public interest law firm specializing in mining issues in the country. WMAP has offices in Boulder, Colorado, and Reno, Nevada. 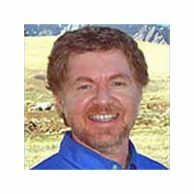 Roger is also an Adjunct Professor at the University of Colorado School of Law and the University Of Wyoming College of Law, teaching Mining and Mineral Development Law. 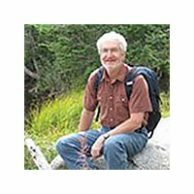 He was formerly staff attorney with the Environmental Defense Fund and the Land and Water Fund of the Rockies, specializing in mining, public lands, and western water law. Roger received his J.D. from the University of Colorado Law School in 1991, where he was a founding member and staff editor for the Colorado Journal of International Environmental Law and Policy. He earned his B.S. in Industrial Engineering from Lehigh University in 1984. Roger lives outside Boulder, Colorado with his wife Michelle and two sons, Sean (10) and Brian (7). All bios are from the year the award was presented. Wendy Francis2012Wendy Francis is one of Canada’s senior conservationists, having spent most of her life advocating for wilderness and wildlife. She began working on conservation issues as a volunteer with the Canadian Parks and Wilderness Society (CPAWS) in Calgary, participating in successful public campaigns to oppose development in Banff National Park. 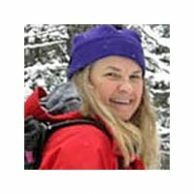 She went on to help protect southern Alberta’s Whaleback region, create Bow Valley Wildland Provincial Park and secure provincial park protection for Kananaskis Country. She later helped to create a new Endangered Species Act for Ontario and was a key member of the project that launched the Canadian Boreal Initiative and led to Ontario’s commitment to protect 50% of its northern boreal forest. Educated in biology and environmental law, Wendy was the founding Conservation Director for CPAWS in Calgary, Director of Conservation Science for Ontario Nature in Toronto, and is currently Program Director for the Yellowstone to Yukon Conservation Initiative. She recently received the prestigious Queen Elizabth II Diamond Jubliee Award. A resident of Banff, Alberta, Wendy spends as much time as possible in the natural world, hiking, backpacking and cross-country skiing. All bios are from the year the award was presented. Craig Gehrke2013Craig Gehrke knows about persistence: he has been Regional Director for the Idaho Office of The Wilderness Society since 1988. For the more thirty years he has overseen efforts to promote wilderness designation and forest restoration in the gem state. He was a key player in the 2009 wilderness designation of Idaho’s Owyhee Canyonlands, which was the state’s first wilderness legislation in nearly 30 years. 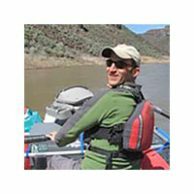 After graduating from at the University of Idaho's College of Forestry, Wildlife, and Range Sciences, Craig worked for the U.S. Forest Service on the Deerlodge National Forest in Montana and Nez Perce National Forest in Idaho. He began his conservation career as the Wilderness Coordinator for the Idaho Conservation League. Craig enjoys hiking and photographing the wild lands of Idaho, eastern Oregon, western Montana and Wyoming. He and his family have started an ambitious stream restoration effort on his land on Craig Mountain, where this year he and volunteers planted over 350 willows, aspen, cottonwoods, alders, birches, and other native species. He is an Idaho native, and he and his family live on land that has been in his family for more than 100 years. He and his wife, Dr. Pamela Gehrke, met when they were in the 4th grade together. All bios are from the year the award was presented. With a mission of “investigate, inform, and inspire,” Chris Genovali leads Raincoast Conservation Foundation’s creative and effective campaigns to protect British Columbia’s Great Bear Rainforest. As Executive Director of Raincoast, Chris has made it a priority to partner with coastal communities to monitor wildlife, keep ecosystems intact and healthy, and build local conservation science capacity. Another hallmark of Chris’ work is his commitment to cultivating the next generation of skilled and engaged conservation scientists. Before helping to launch Raincoast in 1998, Chris led campaigns at the Wilderness Committee to conserve temperate rainforests and wildlife on southern Vancouver Island and the coast of British Columbia. He also served as the Canadian Forest Project Coordinator for Pacific Environment. 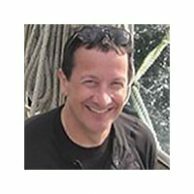 Chris is a prolific writer, with articles, op-eds and features on Canadian wildlife and conservation issues widely published in Canada and internationally. 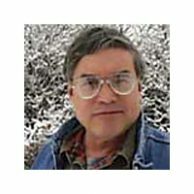 He was a contributor to Wild Foresting: Practicing Nature's Wisdom published in 2008, and has been a guest blogger for the Huffington Post since 2010. All bios are from the year the award was presented. Patti Goldman2001Patti is the Managing Attorney of Earthjustice Legal Defense Fund's Northwest office. Since 1994, she has been at the forefront of legal efforts to safeguard ancient forests, protect salmon, and guard in-stream water qualities in the Northwest. In addition, she is a recognized authority on the threat that international trade institutions pose to environmental protections. Earlier this year her efforts led to a federal appeals court barring nearly 200 timber sales stretching from southern Washington to Northern California. All bios are from the year the award was presented. Lara Hansen2015Dr. Lara Hansen is the Executive Director and Chief Scientist of EcoAdapt. She also serves on the unfairly maligned, vitally important Nobel Prize-winning Intergovernmental Panel on Climate Change, is a Switzer Environmental Fellow and a United States Environmental Protection Agency Bronze Medalist. Prior to creating EcoAdapt, she was the chief climate change scientist for the World Wildlife Fund, creating their international Climate Change Impacts and Adaptation Program, from 2001-2008, and a Research Ecologist with the Environmental Protection Agency from 1998-2001. 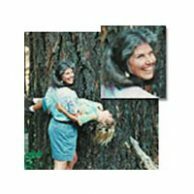 She earned her Ph.D. at the University of California, Davis in Ecology and her B.A. in Biology at the University of California, Santa Cruz. To balance her scientific life, she works to integrate nature and art in her daily life. Because she's an optimist she assumes we'll get our acts together on climate change. All bios are from the year the award was presented. Chris Herman2001Chris is the Western Regional Director of the Land Trust Alliance (LTA). He was the first director of LTA's Northwest Program in Seattle, and his leadership helped expand and substantially strengthen the land trust movement in this region. He also created LTA's Mentor Program, which provides one-on-one assistance to land trusts and helps in building strong organizations that can more effectively protect open lands. Chris moved to his current position in 1998 and now oversees the entire western region of the U.S. An avid river rafter, Chris loves to be out on the land (and water) while looking for new and innovative ways to help protect it. All bios are from the year the award was presented. Karsten Heuer2003For the last 10 years Karsten has worked seasonally as a park warden in Canada's Banff (Alberta) and Ivvavik (northern Yukon) national parks. 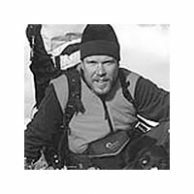 In 1998 and 1999 he took a leave of absence from both jobs to walk from Yellowstone to the Yukon, stopping in more than 100 communities during the 3,400km-long trip to give hundreds of public presentations and media interviews about the Y2Y Conservation Initiative. Along with his bestselling book about the journey, Walking the Big Wild, Heuer has singlehandedly introduced hundreds of thousands of North Americans to the idea of connecting isolated reserves and parks with wildlife corridors in order to avoid extinction. More recently, Karsten, along with his wife Leanne Allison, spent five months following the transboundary Porcupine Caribou Herd through Alaska and the Yukon on their annual migration. He plans to travel across the U.S. and Canada to deliver their important story in the next two years. For more information, please visit the couple's web site. All bios are from the year the award was presented.